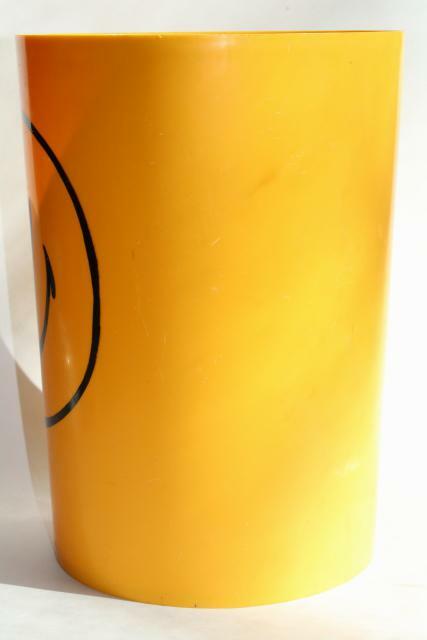 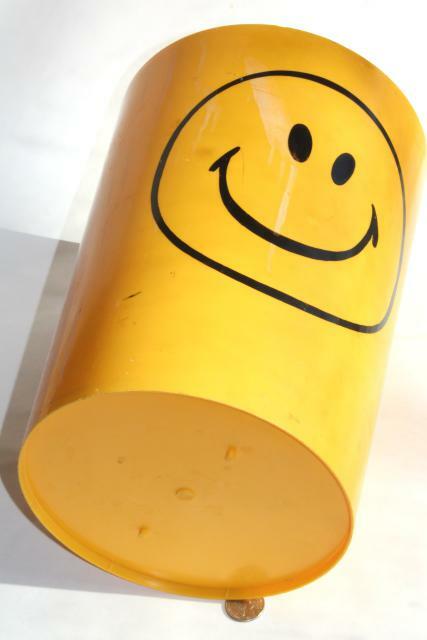 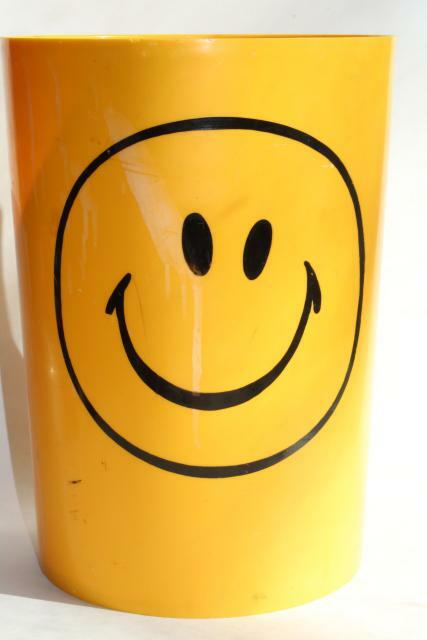 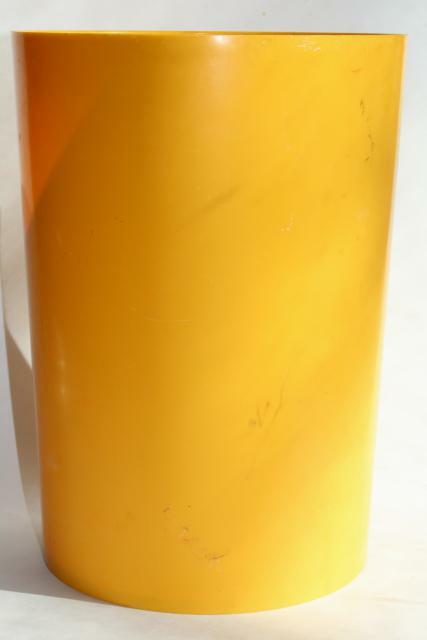 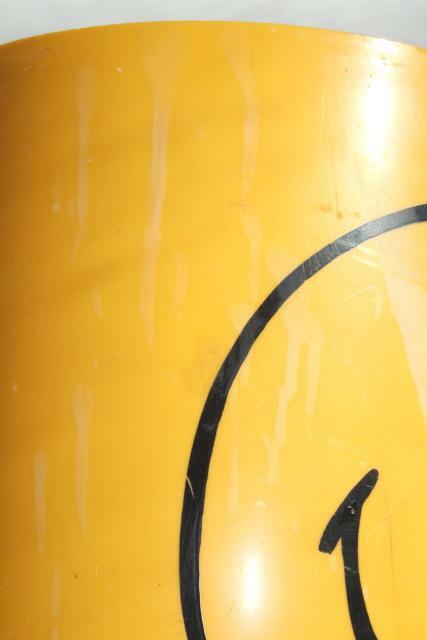 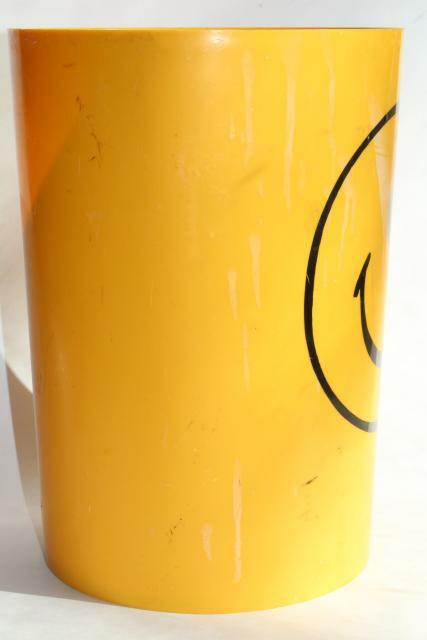 70s vintage plastic wastebasket with a yellow smiley - cute! 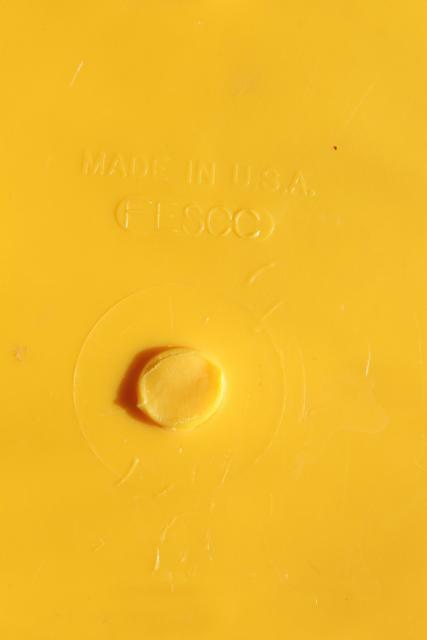 It measures 12" tall x 8 1/2" across the top. 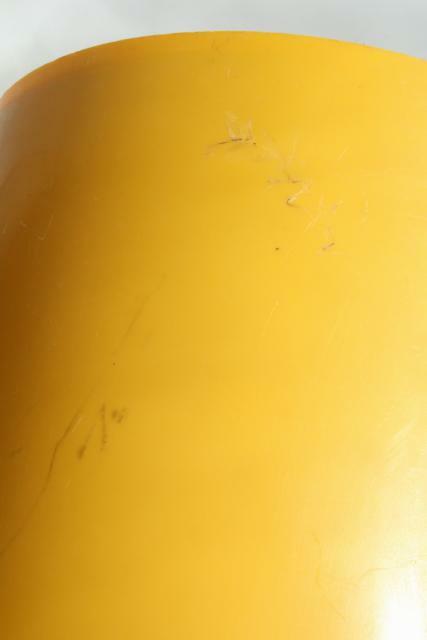 This is used, and does have a few marks and spots as shown. 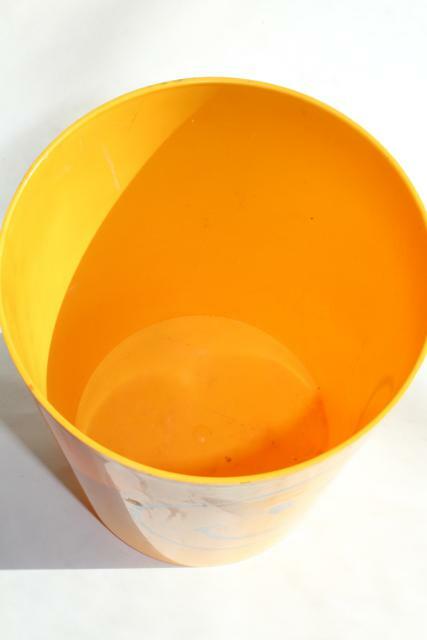 It's not really 'dirty', we wouldn't hesitate to use this ourselves.